The hospital and all branches resume normal service. The Leeds Emergency Vets team will be here 24/7 over the Christmas period to continue to care for your poorly pets. All the staff at Abbey house would like to wish our clients and pets a very Merry Christmas and a Happy New Year. I started working in Veterinary Practice as a receptionist/animal handler in 2003 in East Yorkshire and went on to study veterinary nursing, qualifying in 2009. I have enjoyed both surgical and medical roles throughout my career, but love the combination of both that emergency and critical care nursing brings. After gaining the Vets Now certificate in emergency and critical care in 2014, I joined the night team at Abbey House Veterinary Hospital in January 2018. In work I enjoy playing my part in stabilising critically ill patients and making all our patients stays in hospital as comfortable as possible. Out of work I enjoy nothing more then walking in our fabulous countryside with my four legged friend Morris Whippet. 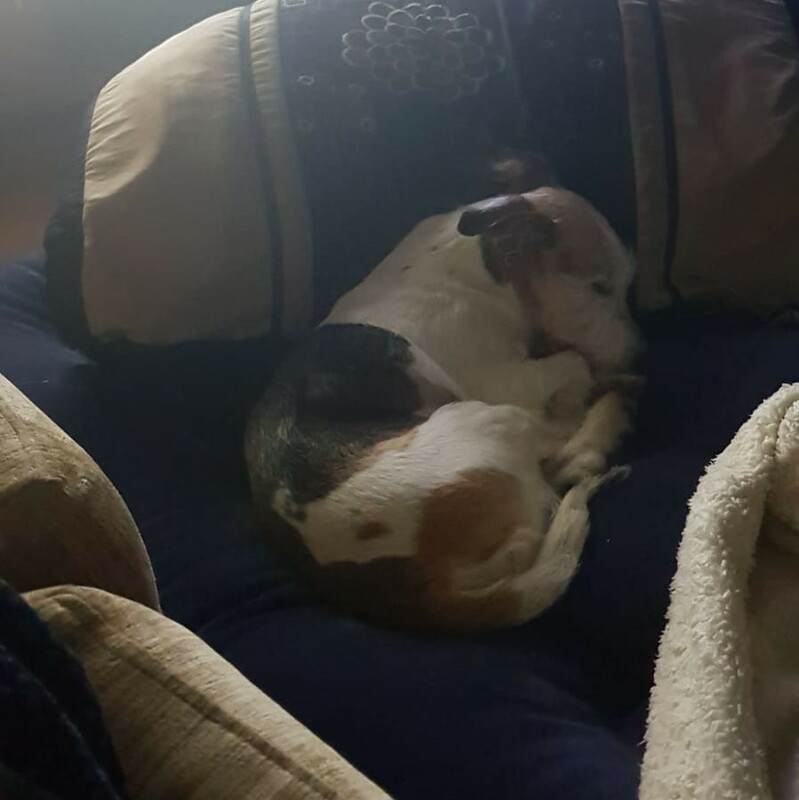 At Abbey House Veterinary Hospital / Clinics, this time of year we often see overheated dogs, some of which are so severe that the problem can lead to seizures or even death. There are a few golden rules that may help prevent this situation. Walk dogs in the cooler hours only, 6-8am and 9-11pm. We at Abbey House want you to enjoy the summer with your pet. 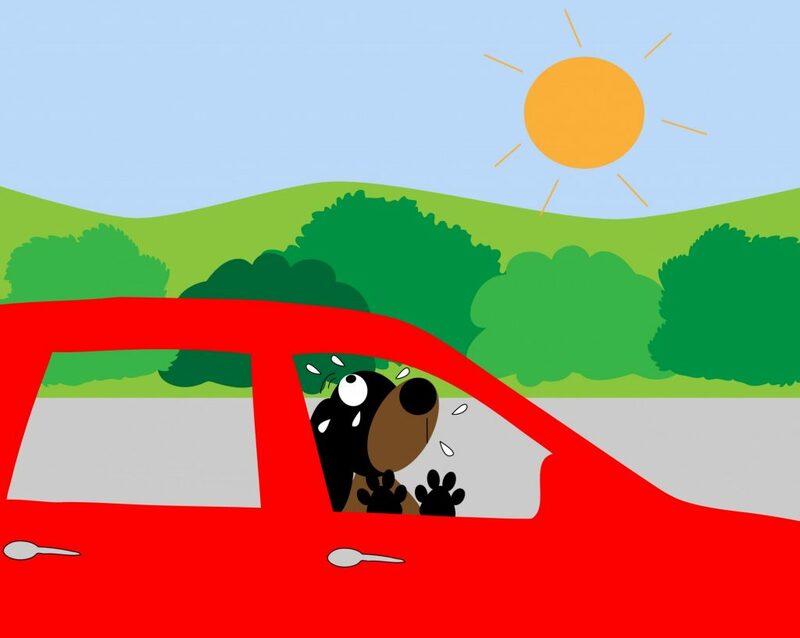 Here are a few tips on things that can assist in keeping them cool.NEVER EVER leave your dog in the car. The heat inside a car can reach 35+degrees C in a very short space of time. Even 5 minutes can kill them. Do not leave your dog lying in the garden. If the dog becomes overheated when lying out it will not have the strength or energy to lift itself. So while you think he/she is sun bathing, in fact they just may not be able to get up and move! DO NOT walk on tarmac surfaces. Tarmac can heats up to 60 degrees C. This can cause severe burns to feet. Allow your dog to rest. Although playing and running is fun it does increase a dog’s temperature. Leave this for cooler mornings or evenings. Cool coats dry quickly, they only work if WET. If using one ensure it is always wet on the inside not just the outside. Some breeds are more susceptible to heatstroke than others. Cool mats can be used and sometimes just allowing them to sit on a cool tile floor rather than a bed is good for them. Ice pops for dogs—Freeze some water with treats inside, this encourages them to lick it. Place paddling pool in a shaded area, to keep the water cooler. Make a shaded area for you dog to escape to. Provide a fan (safely) or a portable air con unit. Place ice cubes in water bowl, or even freeze a water bowl, for dog to lick. Wet some towels and place in freezer for a short time, lay on floor for dog. Never leave home with your dog and no water, even a short journey you should take water and bowl with you. Know the signs of Heat stroke. Red tongue but pale gums. Or Bluish gums (lacking oxygen supply). Above is just an overview of SOME, not all signs, every animal is different. If you do see/ feel any of these signs relate to your dog, then follow below. Get your dog into shade. Get cool (not cold) towels and lay over dog. Ensure you change these regularly as the heat from the dog heats the towels up quickly. Offer water. If your dog will not drink do not force it, squirting water in could cause aspiration into lungs. Ring the vets and advise them you are coming. Prompt action on arrival could be the difference between life and death. Sun – Vet on site for emergency appointments only.